International Arbitration is perceived by many as a gold mine, treasure substantial, by all means. The Government of India in the recent times have been showing tremendous interest in the field. The experience in other jurisdictions seems to have encouraged the governmental action. There were several individual who have tried to interpret their dream and crossed deserts, faced the challenges of nature and Atlas tasted success. A point has now reached, when we need to fairly concede that commercial dispute resolution cannot be just a regular Government program or realization of an individual dream, it needs to grow as a popular movement intended to achieve a fair share of the treasure. Indian Economy is on a growth mode. It may surpass the major economies of the world, in the years to come. The growth of international trade and commerce demands expeditious dispute resolution of commercial disputes, as well. The big question would be whether we have done our home work, to participate in this pursuit. The dispute resolution mechanisms internationally acclaimed, are commercial mediation and arbitration. Mediation as a method of dispute resolution is just in its infant stages, while Commercial Mediation is really foreign, by any estimation. 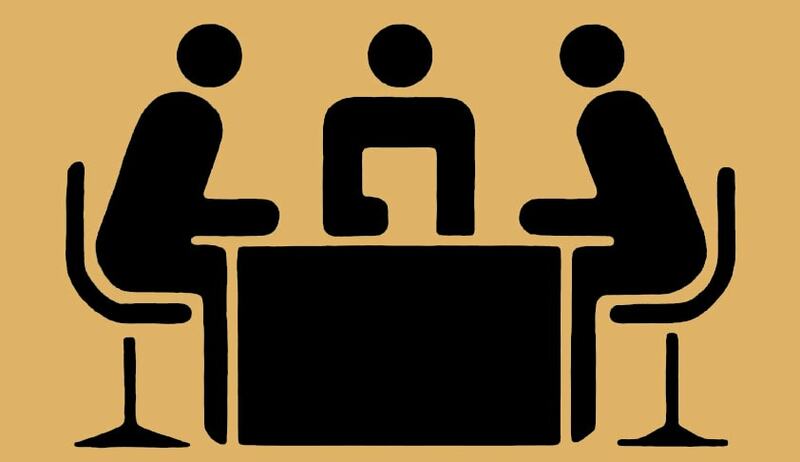 Arbitration on the other hand is synonymous with the term ‘adhoc’, where everything from the venue to practice rules needs agreement, post the dispute, in most of the cases. There is a popular complaint that arbitration is extra-curricular for the Bar and a medium of oppression for the Business Houses. There is gossip in the corridors of the Supreme Court that ‘heavens may fall, but a lawyer from the Bar will never attend an arbitration on Mondays or Fridays’. According to fortune tellers - the Supreme Court hears admission matters on these days. Institutional Arbitration is not in the agenda of Indian stake holders, obviously due to the lack of sufficient infra structure. It is during these times that the Law Commission of Indian through its 246th report prompts us to dream, putting forward the revenue generated by England during the financial year 2011, from legal service related business at 22.5 billion Great Britain Pounds. An Indian may calculate it as Rs 2250 crores. UNCITRAL model law was followed in enacting the Arbitration and Conciliation Act 1996, in order to bring in uniformity in arbitration practice and enforcement of awards. A long two decade has passed since this statute came into force. Many other jurisdictions where similar exercises were undertaken prospered, but India did not. There is blame game going on, some may point figures at the executive but the others at the judiciary. There is no particular use by identifying the culprit, for the time once lost cannot be regained. It is in this backdrop, that the recent initiatives of the Government and the Judiciary have to be appreciated. The Government at the centre has not only attempted to demonetise high value currencies, as an economic reform initiative, but also did their part in promoting resolution of commercial disputes. In the history of the Law Commission Reports, their recommendations were not acted upon, so swiftly. The short duration between submission of the 246th Law Commission Reports and the passing of the Amendment Act 2015 is commentable. The necessary follow up actions were also taken, by convening a Global Conference with the theme ‘National Initiative Towards Strengthening Arbitration and Enforcement in India”, from 21st to 23rd October 2016. The conference identified that Institutionalization of Arbitration and Development of an Arbitration Bar as the panacea for the ailment. Institutional Arbitration is not new to A&C Act 1996. Section 6 reads ‘In order to facilitate the conduct of the arbitration proceedings, the parties, or the arbitral tribunal with the consent of the parties, may arrange for administrative assistance by a suitable institution or person’. In Explanation to Section 31 “costs” means reasonable costs relating to “any administration fees of the institution supervising the arbitration”. The immediate conclusion would be that an Institution recognized by the statute, was remaining a dead letter for all these years. It cannot be said that there were no Arbitral Institution s in the country, functioning. The few that are functioning in the public and the private sector could not stand the test of professionalism set by other major arbitration destinations. Therefore, these institutions remain defunct or survive with limited functions, for instance by facilitating ‘adhoc’ arbitrations. An institution, in an ideal situation needs to compete its foreign counter parts like Chartered Institute of Arbitrations, London Court of International Arbitration and the like. These organizations do not limit it to facilitate arbitration, alone. They are into training of professional arbitrators and networking. The contribution of these organizations in generating the revenue for UK cannot be neglected. One may find that even when a party to an international commercial dispute is Indian, the Englishman will be the arbitrator, thanks to the professional training of world class arbitrators, by such institutions over a period of more than a century. While reverting to the Indian scenario, one will find that an Indian stake holder would be confident only if the arbitrator is a retired judicial officer. A situation has already developed that arbitration is a post retirement career option of a judicial officer. When the appointing authority in all disputed appointment of arbitrators is the Chief Justice of the High Court or the Supreme Court at the case may be, their inclination for the appointment of a retired judicial officer as an arbitrator is obvious. The integrity of a retired or sitting judge is beyond question, during times when the system faces corruption at all walks of like. But a student in Arbitration practice may genuinely complain that the lawyers and judges have reduced private dispute resolution mechanism into a lengthy complicated and hugely delayed system, which can be equated to regular court mechanism. The Arbitration Bar consists of retired judges and arbitrators, acting as counsels and arbitrators. The other technical professionals are not provided sufficient space to excel. The popular complaint against them is that they are not versed in the nuances of advocacy and decision making. It is neither true nor false. Without going into the gravity of the issue, arbitration being private dispute resolution methods, alienating other professionals is not advisable. Professional training can perfect their current short comings, if any. In the rest of the world, technical arbitrators play a major role in arbitration practice, therefore this country cannot continue as an island. The need of the hour is the bell the cat, and who will do it. Is it the Government or stake holders or both? A reasonable proposal would the third. At this juncture a few likeminded persons under the patronage of Dr NR Madhava Menon, the doyen of Indian Legal Education have joined together in promoting a nonprofit Company ‘Cochin Institute of International Arbitration (CIIArb)’, as an Arbitral Institution. It is the vision of the Legend that without suitable policies formulated by the Government, any organization would be yet another institution to be moved to the trash. The principles are those considered necessary for an effective, efficient and “safe” Seat for the conduct of International Arbitration. The Principles focuses a Country as a seat however it touches every aspect of Arbitration, and may equally apply to an institution. Without attempting to reproduce the entire text, the point that needs to be highlighted is mentioned below. An implemented commitment to the education of counsel, arbitrators, the judiciary, experts, users and students of the character and further development of learning in the field of arbitration. Easy accessibility to the seat,…adequate safety and protection of the participants, their documentation and information. A reading of these principles, would give and impression that the involvement of the Government, is largely necessary. To analyze & review effectiveness of present arbitration mechanism. To review the facilities, resources, funding and manpower of existing ADR institutions. To review working of the institutions funded by the Government of India for arbitration purposes. To assess skill gaps in ADR and allied institutions for both national and International Arbitration. To evaluate information outreach and efficacy of existing legal framework for arbitration. Suggest measures for institutionalization of arbitration mechanism, national and international, in India so as to make the country a hub of international commercial arbitration. Identify amendments in other laws that are needed to encourage International Commercial Arbitration (ICA). Devise an action plan for implementation of the law to ensure speedier arbitrations. Recommend revision in institutional rules & regulations and funding support thereof. Advise empanelment of national and international arbitrators for time bound arbitral proceedings. Suggest road map for further strengthening of research and development impacting the domain. Enlist requisite steps for augmenting skill sets and professional manpower buildup for the sector. Recommend measures to make arbitration more widely available in curricula and study materials. Focus on the role of arbitrations in matters involving the Union of India, including bilateral investment treaties (BIT) arbitrations and make recommendations where necessary. The Government notification might have entrusted the job of designing the destiny of the country to few, but all the stake holders definitely have a right to voice their opinions, concern and apprehensions. They may very well have their bit of advices and suggestions too. It is in the backdrop of these events that the promoter of ‘Cochin Institute of International Arbitration CIIArb’, under the guidance of Dr NR Madhava Menon proposes to convene a National Workshop on “Institutionalization of Arbitration and Development of an Arbitration Bar on February 25, 2017 from 9 am to 5.30 pm, at Bolgatty Palace, Kochi, Kerala. The venue is ideally placed in the Bolgatty Island in the backwaters near the High Court of Kerala at Ernakulam. Being part of this policy making exercise would benefit the individual participant and sharing the expertise in Arbitration would be definitely be an engagement in a nation building exercise. The workshop would discuss the issues involved in the terms of reference to the High Level Committee, which may range from permitting foreign law firms before an Indian Court in International Arbitration related matter, to development of an Arbitration Bar not limiting to lawyers and retired judges. Cross sections of the stake holders in the field of International Commercial Arbitration are expected to be in attendance. The National Workshop is designed with a noble object and intended to be interactive at all levels, where the results expected would be a better future for the Country in the field of International commercial arbitration. Johnson Gomez, Advocate, High Court of Kerala, Fellow of Chartered Institute of Arbitrators (UK), Managing Partner of L Expertians Associate LLP, Promoter Cochin Institute of International Arbitration (CIIArb).